Whenever I’m at home, all I want for breakfast is coffee, orange juice, and some bread and butter – and I’m good. But going to the Middle East, when they start bringing out all the fresh salads, candied fruits and jams (such as eggplant and another made from unripe walnuts, just below) and all sorts of beautiful fresh cheeses and pickles, I am helpless to resist. Well, once I’ve had at least one very strong cup of coffee in me. Here in Beirut, where I’m scooting around with my friends Bethany and Jocelyn, food blogging friends and guides of Taste Lebanon, our first day began with – yes, a little hangover from too much Lebanese wine fueled by a smoking narguilé (hookah) the night before. It was a relatively panicky morning as I realized my phone hadn’t been synced to Lebanese times, which is a little more laid-back than French or American time anyways. So it was nice to taste a beautiful assortment of freshly baked Arab breads from the ovens at the Four Seasons Hotel. 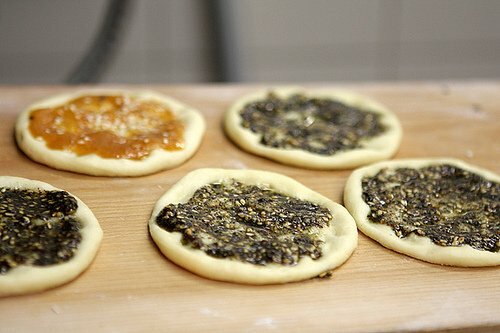 There were warm little rounds of dough with jam and za’atar (a very aromatic blend of dried herbs, such as thyme, with sumac, sesame and salt) smeared on top – others had soft, salty cheese melting into the centers. And of course, there were plenty of others things, like olives, radishes, pickles and a scrambled egg Shakshuka that kept coming to the table, Arabic-style. 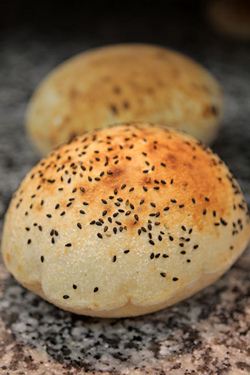 And warm, just-baked, sesame kohbz to scoop everything up with. But I was most intrigued by the za’atar croissants – flaky, buttery crescents as good as anything I’ve had in Paris. But instead of just delicate layers of pastry, or a stripe of chocolate, inside is a pocket of za’atar with the pungent flavor of sumac to get you going in the morning. I ate as much as I could before we hustled off to breakfast #2, which was more rustic, street food-style of eating, made with a little bit more muscle, and an extra-generous dose of garlic (and spice) to get me going. I’ve been dreaming about lebanese food for days. It’s surprinsgly not easy to find much in NYC. So much good memories of lebanese food in Paris…. Interestingly, I had amazing Lebanese food in Mexico; I guess a lot of Lebanese emigrated there a while back. I haven’t found any exceptional Lebanese places in Paris. I used to go to a very good one with a Lebanese friend in the 15th, but it closed a few years ago and haven’t found anything comparable. Oh lucky you! I would so much like to go to Lebanon with Jocelyn and Bethany, the perfect guides on what sounds like an amazing trip….say hi from me! Very jealous! 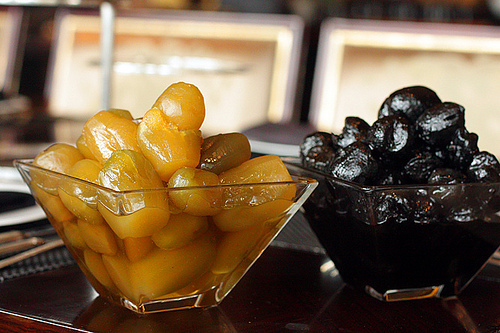 David – ask them to get you some Makdous (pickled eggplants stuffed with chilis and walnuts) and preserved in olive oil. Other interesting breakfast-y things to try: labneh balls preserved in olive oil, Ma’amounieh (a polenta based breakfast porridge that gets poured over Mshallaleh cheeze with cinnamon and nuts on top), and the famous teskieh (chickpea and fava bean breakfast). David, You don’t know me, but I love your writing and I’m actually visiting Beirut right now and would love to either recommend a couple places to you that my Lebanese wife and I have had recommended by trustworthy sources and will be trying while we are here, or invite you to lunch. Though, I’m sure you’re getting all you could ever want with the Taste Lebanon folks. I hope you are having a wonderful time following your stomach around and are getting enough zaatar, sumac, and arak in your diet. Thanks for the tips. Since my friends are Lebanese, and grew up here, we’re hitting some great places – which I’ll be writing about a little bit more. I am going to visit Kamal at the Souk ek Tayeb since we became acquainted a few years ago and I’ve been really anxious to see what they are doing there – it all looks so beautiful! David – This looks fabulous! Recipes? I’m sure you’re inspired to create some ice cream or sorbet flavors. 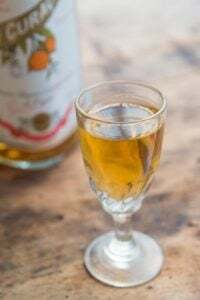 A refreshing light iced accompaniment to a marvelous Lebanese breakfast? I have a lebanese cookbook that I use all the time. This looks incredible. I love the idea of those za’atar croissants. Perhaps I’ll try to create them at home sometime… Although croissant dough frightens me. How’s the coffee? Is it different there than in other Arab countries? Wow! It all looks and sounds delicious. So exotic – I want to hunt all those things down and eat them! Lebanese coffee is a variation on turkish coffee, usually flavoured with cardamom (which is just amazing!) . I’m the same way you are about breakfast — just toast, oj or herbal tea for me. But would really fall for those fabulous breads, za’atar, walnut or eggplant jams….. Can you recommend a fabulous Lebanese cookbook? I would say check out ones by CLaudia Rodin, Yotam Ottolenghi, or Anissa Helou. I don’t know of any specific Lebanese ones offhand; most in English are usually a mix of dishes from the various countries. There’s so much overlap, it’s often hard to pinpoint which dish or recipe is from where. Bethany, who I’m with on this trip (who I’ve linked in the post) is coming out with her first book in a few months and I can’t wait to dive into that one! David, this looks like a glorious way to start your morning. Za’atar croissants sound so delicious! I had za’atar for the first time a couple months ago from a local bakery. I am fairly new to the flavors of Lebanese cooking but I enjoy what I’ve had thus far. As a longtime reader I don’t mean for this to be preachy at all, and I apologize for being a debbie downer on your lovely trip, but I am simply concerned for you and want you to be equipped to make decisions about your health. 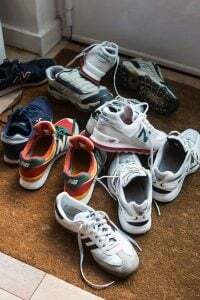 I am especially sad thinking about when I spent a morning seeing only lung cancer patients, all of whom were current or previous smokers. >> I couldn’t agree more! I remember something like 5 rounds of food at 47ºC while I was visiting Beirut to see my family. They just never stop eating. No.interruption.at.all. Can’t wait to read your next stories in Lebanon! Oh I envy you! My parents were Lebanese immigrants and I have never visited Lebanon myself (except when I was 5, I do not remember it at all). I’m drooling looking at those pictures, I wish I could travel over there and experience this as well. I can’t wait for the next stories!! Keep them coming. Have you heard of The Lebanese Kitchen cookbook by Salma Hage? It has gotten great reviews in newspapers and on Amazon — also was on a lot of “best” lists this past Christmas. I never paid much attention to it until your post, but now I think I have to try it! So so happy to know you are finally in Beirut! Can’t wait for more details. Don’t forget to try Halloumi cheese with your breakfast. 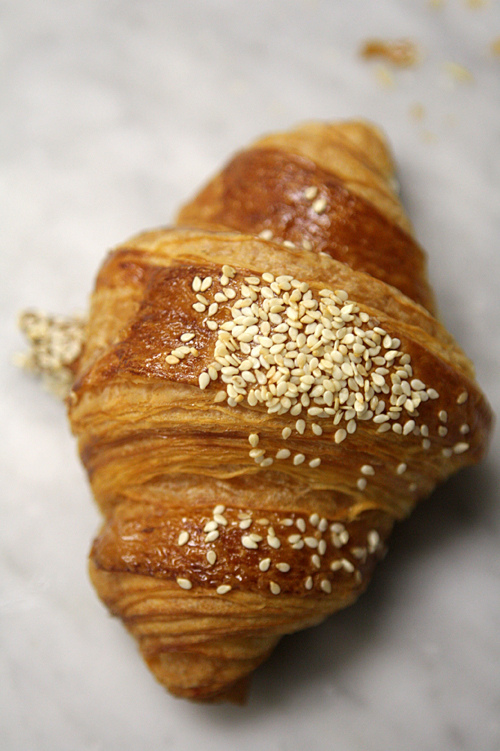 You had me at za’atar…and then followed it up with croissant…..need it!! I’ve never seen or had za’atar croissants. Pity! Lots of Lebanese hereabouts in Montréal, as you know, and my neighbourhood was not only a beacon for Italian immigrants, but also Lebanese – there are two old Orthodox churches nearby for that community. I buy little flat za’atar pizzas, as well as lamajoune, from a tiny shop run by a very elderly couple – long may they live! One of the Orthodox churches – actually on my street, a few blocks up – holds an annual bazaar with great food items made by the church ladies or donated by local businesses. Pedantry: Claudia Roden, not Rodin – she is Egyptian-Jewish, but her husband was Askkenazi, and she uses his name professionally. Have you met Yotam Ottolenghi and Sami Tamimi? Yes, I’ve met Yotam a few times and he’s great. (I had a terrific meal at their restaurant, Nopi.) Claudia Rodin indeed Egyptian, however she does write about Lebanese cuisine – the other authors I mentioned are Palestinian, Israeli, and Lebanese, but their books cross over a few boundries since many of the dishes found in Lebanon are also found in other countries, such as Syria, and so forth. Lucky you for having all those women baking and cooking up a Middle Eastern storm in Montréal! thanks for recommending my work david. actually my first book was all about lebanese food http://www.amazon.co.uk/Lebanese-Cuisine-Anissa-Helou/dp/1906502188 for the uk edition & http://www.amazon.com/Lebanese-Cuisine-Authentic-Recipes-Elegant/dp/0312187351 for the US edition. i should send you a copy :). am actually revising it next year for a new edition. have fun in the home country and see you soon. 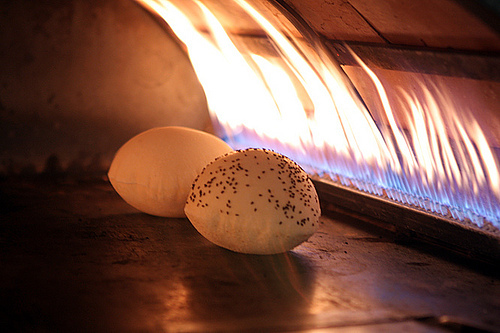 great picture of the little breads puffing in the oven. just love it. I can feel the heat of the even and smell the bread. Thank you! Ohhhhhhh. I have a walnut tree and I’ve never gotten good advice about how to harvest nuts ready for baking so I got excited when you said there was such a thing as unripened walnut jam. 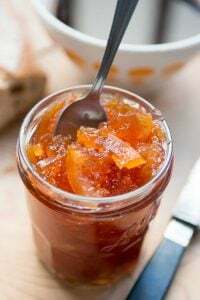 Is there a name for this jam that I could google? Thanks David for a terrific post…as ever! Not sure if you know Greg Malouf’s Lebanese and middle eastern cookbooks – MOORISH, ARABESQUE, TURQUOISE and the very beautiful SARABAN. If you – and others – haven’t yet come across them you have a treat in store. Lovely books, great recipes. 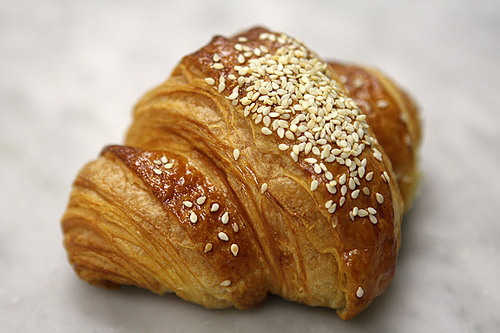 I love a country that puts sesame seeds on its croissants. Do you know the name of the jam made from unripe walnuts? I would love to look for more information about that (I don’t have a walnut tree, but I can day dream…). David! Welcome to Beirut! I’ve been following your blog religiously for the past year or so, since I happened upon it. I’m an American-born Lebanese who moved to Beirut two years ago after having finished my studies in Boston and Paris. My inner gourmet has guided my quest for the best authentic eats Lebanon has to offer (which I blog about on my lifestyle/culture diary Beirutista). Bethany is steering you well–Ichkhanian has some of the best Armenian lahmeh b3ajjin pies in the area. Tawlet will allow you to sample a variety of homemade village food buffet-style. For a proper mezza, head to Al Halabi or Fakhreddine. For a Lebanese with a twist mezza, Babel is a must. I could go on and on endlessly. 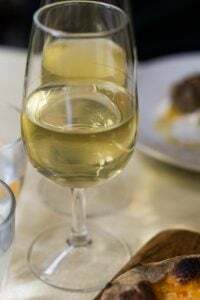 I know your time here is limited and your guides undoubtedly supreme culinary authorities, but if I can be of further help, or if I could have the rare pleasure of meeting you and the lovely gang, please drop me a line. Happy feasting in Lebanon! And welcome to real Mediterranean hospitality. The chef and author someone recommended you read above is actually Greg Malouf, not David Malouf. David Malouf is actually a very well known and award-winning fiction author. Greg Malouf is now working in London, if you want to sample his cooking. oh, how I wish to visit there… so close and yet so far away for me. I eat this sort of thing on an almost daily basis at home – you would think I would find the pics and narrative boring. Not so. Zaatar, olive oil, labneh, etc. never get boring. You can almost be gauaranteed to come across zaatar croissants in almost every single bakery here in Dubai – even the French ones – Paul, Fauchon, and Eric Kayser do them. 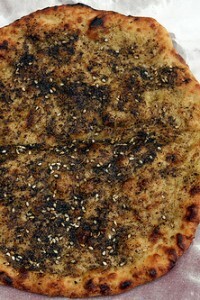 And don’t get me started on habbit el barakeh – not black sesame although it looks like it. 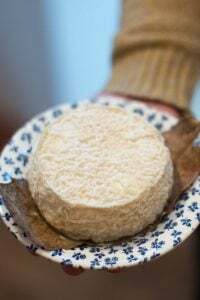 Great with bread and especially with white salty cheeses. Arabic breakfasts…or lunch and dinner…are some of the best. Majority of my family has spent years living and working in Middle Eastern countries and Arabic food is comfort food to us, just as much as Indian food. If you ever need a bag carrier, coffee-maker or general personal assistant, please let me know :). 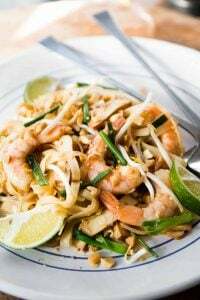 If you find any wonderful dishes made with freekah, I hope you’ll share them with us. I just made a terrific poached chicken with freekah recipe from Yotam Ottolenghi’s Jerusalem. The freekah was fantastic and I’m curious about other traditional dishes that use it. We had a freekah tasting yesterday and I’m going to bring some home and play around with it – I love it, but it takes some preparation time to get it cooked right. I am so interested in the eggplant and unripe walnut dishes. I hope you will share some recipes pleasepleaseplease :). Yes, if anyone finds a recipe, please post a link to it here. 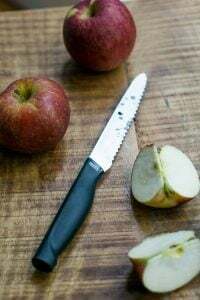 Am not sure how many people would go through what it takes to candy whole fruits, but perhaps one could adapt my glazed citron recipe using the small eggplants? 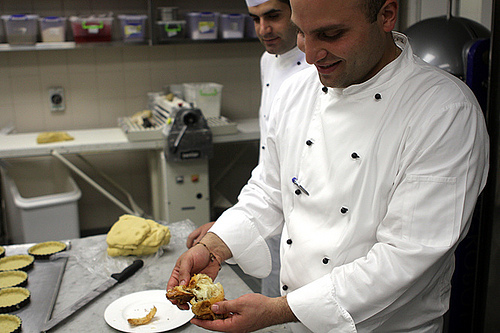 I love Beirut… The Lebanese are the best COOKS in the entire med. Whether a French, Italian or Lebanese restaurant, the cooking is superb. My favourite: small rouget-red mullet fried (like whitebait or French fracture) as an appetiser. And the piles of fruit for dessert! Ohhh I am so envious. Growing up with a Lebanese mom and Cuban dad, food was always interesting and delicious. One of my favorite food memories, and a tradition I continue with my own family, is “Egg Wars” on Easter. It is basically cracking your opponents egg with your own, with the whole table participating, until eventually one egg is deemed the Champion. Once all the fighting is over, the eggs are mashed, and sprinkled with salt, pepper, za’atar, lebanese allspice, and olive oil. YUM. Alongside that is served syrian cheese, lebanee, rounds of bread with zaatar, sweet simsim (a round loaf with sesame seeds and syrup), zeithoun (olives), string cheese, and some fresh fruit. It is a breakfast everyone looks forward to all year, for the fun and the food! I’m salivating just looking at this – what an excellent breakfast! Like Riki, I’m an Israeli who’d love to eventually visit Lebanon… I hope one day it will be possible. Until then, thank you for sharing your experiences, David. The croissants filled with za’atar are very interesting. I am assuming these are savory croissants. Is the za’atar a paste, and if so, what else did they use to make the paste? My sister makes croissants and sells them at our local farmers’ market, so she is interested in anything else you can relate about the croissants that you had. Za’atar is a herb mixture that includes sesame seeds, salt and sumac. I think they mix it with a little olive oil, to a paste, then put that in the center of the croissant. I think they would be popular in the US! Za’atar croissants!! What a marriage made in heaven. Am used to sprinkling za’atar on almost everything that goes into my oven but never thought about it for a croissant. I wonder if a second tier solution, for those of us not in Lebanon,would be to cut open a fresh croissant and add a sprinkling of this magic mix? 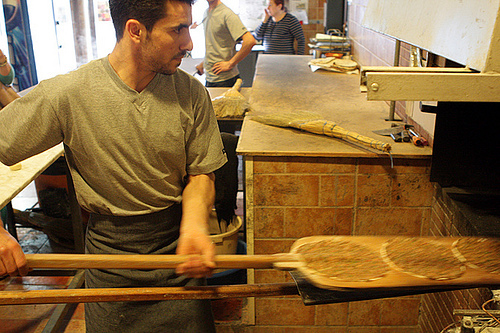 David when you come to London check out Al Waha – a Lebanese restaurant in Notting Hill. Hope you are eating some pistachio halva while you are in Lebanon. It is far and away the best halva I have eaten. Fortunately it is sold here in Goldborne Road, also Notting Hill, in the Lebanese shops of which there are several. ‘chalky’ water to remove bitterness. You can get a very good description of the process in a book by Florence Ollivry, ‘Les Secrets d’Alep’. Claudia Roden has two simple recipes in her “a New book of Middle eastern Food’ and they do not require chalk!!! Enjoy Beirut and please keep posting. Thanks – just down in the comments, someone posted a link to green walnut preserves. I think the eggplant one, you’d have to find the tiny eggplants to make it and it is a bit of a process. Claudia Rodin’s books are pretty great – appreciate the links .. Sorry, more pedantry from my husband: “Arabic” is used only when referring to the language; “Arab” is the adjective and the noun: Arab food, Arab customs, etc. I asked my friend here from Taste Lebanon, who is Lebanese – although grew up in America, and she said you do say “Arabic” cooking, and in fact, she has a book coming out and used that term extensively, which her copy editor said was correct. Ha! I’ll pass it on. I suspect that his comment was based on his university studies…and years of living in the Middle East, and these distinctions are no longer made. We do love your writing though, and these photographs make us long for our days in Syria, Lebanon, and Jordan. Keep up the great work! David, your two posts on Lebanon are stunning. The food looks fabulous and your beautiful photos totally do it justice. Lucky! Thank you for sharing. 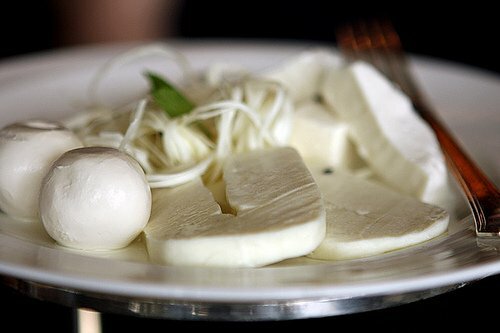 I have had the Lebanese breakfast at the Four Seasons in Beirut — it may be the most memorable breakfast of my entire life! It’s pretty amazing what a good job they’ve done with all the Arab breads and baking. Our Lebanese friend here told me that he often comes for Sunday brunch because it’s so good! I stayed at the Four Seasons on my trip to Lebanon last year and how exciting to see their wonderful breakfasts again!! Thank you David! 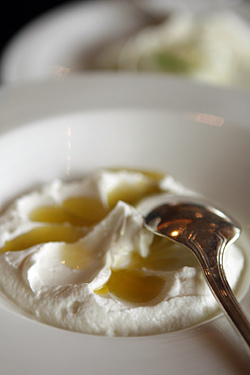 My blog on Lebanese cuisine is Rose Water & Orange Blossoms, at http://www.maureenabood.com. I wrote the introduction to Salma Hage’s The Lebanese Kitchen cookbook published by Phaidon last year, and am working on my own Lebanese cookbook hopefully to be published in the not-too-distant future. Stay tuned! As a breakfast hater except for coffee to get the motor running, I found your photos and description of breakfast in Lebanon stimulating. 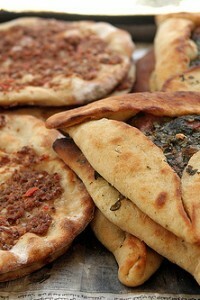 I have just acquired some Za’tar and am wondering if I can just add some to Sunday’s croissants. Porquoi pas? On a completely different subject, I am appealing to you, the source of all knowledge, about where in Paris can chilies in adobo be found? All I see are recipes with said product. Frustration! Frustration! I think they sell them at Boca Mexa on the rue Mouffetard ~ am not 100% sure, but I believe I might have seen them there. oh boy. i just happen to be newly dating a lebanese american. he cooks and bakes including arab bread. and just like with your food posts from israel, i have tears in my eyes and drool in my mouth reading your words and looking at these pics. you are the BEST food pornographer i have ever known. In Middle East, I think lebanese are the best ones to know how to live, eat, entertain. I’m not lebanese…Pics are great.. I could eat the photos….they look great.